A traditional, classical naturopath specializes in wellness. That is to say, teaching clients how applying natural lifestyle approaches can act to facilitate the body’s own natural healing and health building potential. The traditional naturopath does not undertake to “diagnose” or “treat diseases,” but rather recognizes that the majority of sub-health conditions are cumulative lifestyle effects, and that the underlying cause of what we call “disease” (or, “dis-ease”) is improper diet, unhealthy habits, and environmental factors which cause biological imbalances leading to a weakening of the bodies’ natural defenses and subsequent breakdown in health. 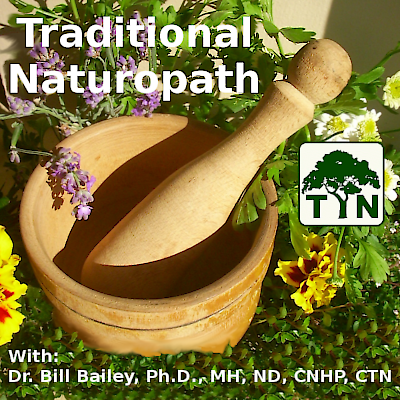 The practice of Traditional Naturopathy is not considered the practice of medicine and is currently legal in all 50 states.